That reads like he knew, just not how bad it was. If it comes out that he knew, it's going to be bad. Charles will have a hissy fit over being criticized and double the army of his spin doctors. IMO. Camilla's campaign is about as subtle as a sledge hammer. IMO. Pushing her on the public again. Her skirt is too short and it rides up when she's in the car. Ick. Cams is really pushing it. Shorter skirt, crossing her legs the other day. Chucky wants a lot of stuff. Everyone posted sth nice for Father's Day, BP, CH etc for Phi, Chuck and I think also Andy & Ed, only dead silence from KP, no word on Bill or wishing Chuck a happy F's Day. The Cambs and shoddy KP (and Haz too), I don't know wtf they are doing. The Cambs may have some bit of positivity PR wise thanks to H&M, better to use that and not continue with their same old lame bs silence and ignorance tactic. Why not show his mother holding him too? Weird. I don't think better of the Cambridges since Meghan came along. It is immaterial, they are still workshy though Will is making an effort now or appears to be. ^ Why his mother? It's from his dad('s office) for Will's b'day and also one for Father's day. I think you mean Diana, and had he used a pic with Diana Chuck and his staff would be criticized for using her (true), bring up the past etc. His dad wished him a happy bday and his dad commemorated Father's Day, so there's with the best of faith no reason to bring any mum in.. 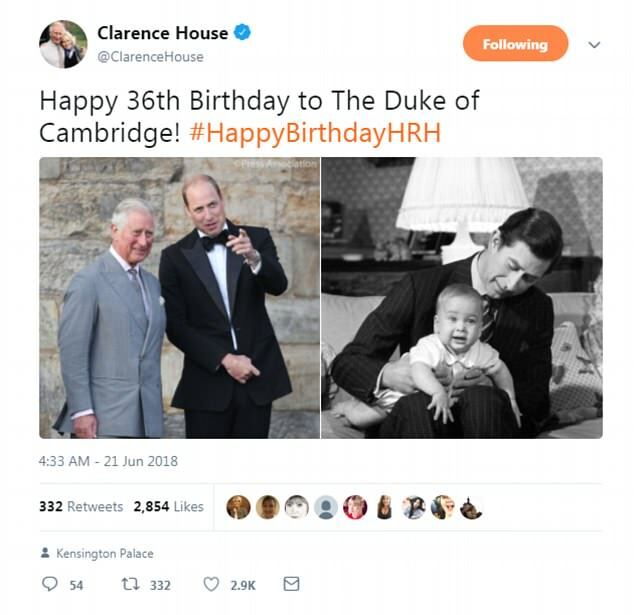 I thought it was for William's birthday. William had two parents. I think it was creepy for the mother to be airbrushed out. She was sitting next to Charles and holding toy keys to play with William. I wonder what Kate thinks seeing how the mother of royal children can be airbrushed. At least he did not put Camilla in a pic with William. Charles and his staff are getting criticized in the comments section. He should have chosen a photo of the two together after Diana died. Instead of taking her out of a photo of the three of them. ^ Yeah but it's not like you can see Diana in any way in that pic. I still think this is perfectly fine. With Diana in the pic, it's not just using her, it's in a sense wishing him a happy bday publicly in her name too, and that's not possible. Good point on the mother (i.e. married-in) being so easily brushed out. Good question, does it even occur to K and M as well that this is so easily done and that the crown comes before any of them and married-ins are always first to be shoved off... You give birth, you do everything for that child (children!) and they don't give one single fck about you. That's quite a slap in the face, to put it mildly. Not a great thing for Prince Charles and Camilla to do going "show biz" on a TV cooking show. The Queen never did anything like that. 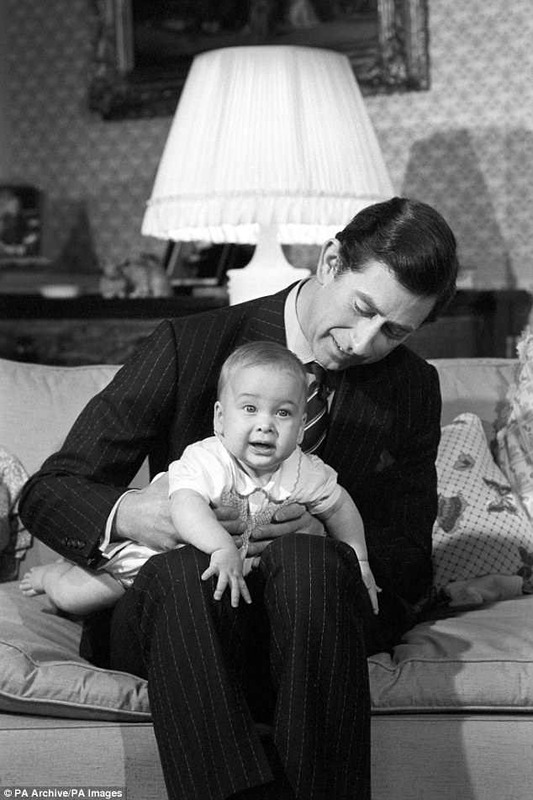 I hope CHarles does not continue the cutesy TV show appearances when he's King. You're right. But a fashion show is somewhat less embarrassing. Charles seems to be channeling his daughter in law and laughs like a hyena in some of the photos. The point of this event was to promote the Royal Flying Service and to showcase Australian food, especially indigenous dishes. By having the contestants on this very popular show cater the reception gave promotion to a very important aspect of the Australian health service - the Royal Flying Doctors. They royals have been doing different types of TV appearances in different ways for decades now - fashion shows, weather shows, interviews etc so why be critical of the organises of the reception using a popular local cooking show for using them for the catering and then having Charles show an interest in what they produced. They could have just had them to the cooking and now meet Charles I suppose - but that isn't the way the royals actually do things. One of the contestant's mother actually cooked Charles' birthday cake a few years ago as well. I watched the show and the emphasis was, as usual, on the contestants and what they were producing. Yes there was the interview with Camilla that was filmed back in April - and was regarded as an official engagement as it was in the Court Circular so approved by Her Majesty - and then the reception for the RFDS was held while Charles was in the NT with shots of his arrival, some scenes of him talking to people at the reception while the food was served and then him having a chat about what the dishes actually contained before meeting the contestants and thanking them for their working and wishes them all the best. In a show of about 90 minutes duration Charles and Camilla were probably on screen for less than 10 minutes of it. When he does that I think he's trying to be a lovable old fella. It will never work. His making faces apparently shows him trying to play the loveable old codger. And Camilla talking about what Charles likes to eat is absurd. Michael Fawcett is in charge of the household and gives the cooks the menus. Camilla has her own place and food is probably shipped to her there and the servants cook it for her. The "normal" spin of these too is a big joke.